← Wait…what month is it?! 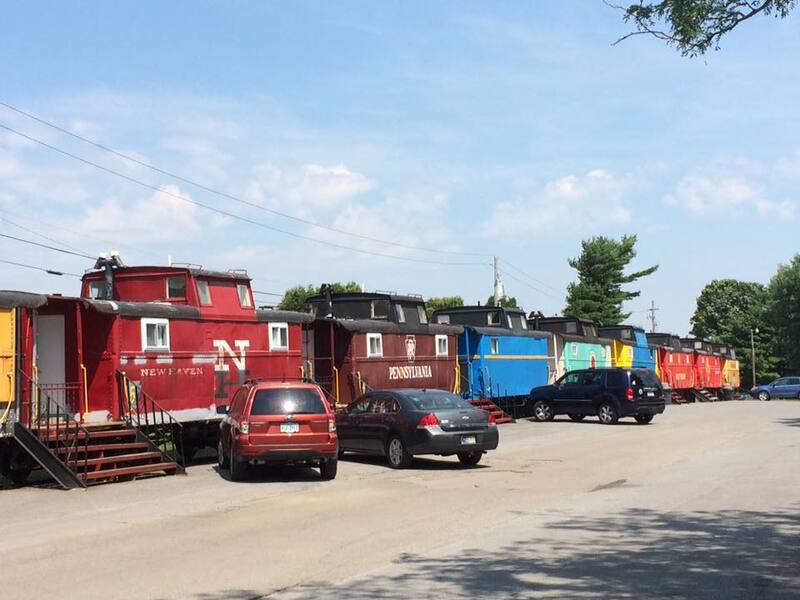 We stayed in two cabooses at the Red Caboose Motel. This motel employs a couple dozen old cabooses that have been gutted and remodeled into hotel rooms. Gwen and I had a “family caboose” for us and the boys, while our parents stayed in a “double-double” caboose that had two queen beds in it. This was something like the 4th time I’ve stayed at the Red Caboose over the years, though the last time that Gwen and I stayed there was something like 7 years ago! As a result of that history, the motel has a warm familiarity to it; I’ve got lots of positive associations with it from my past stays. 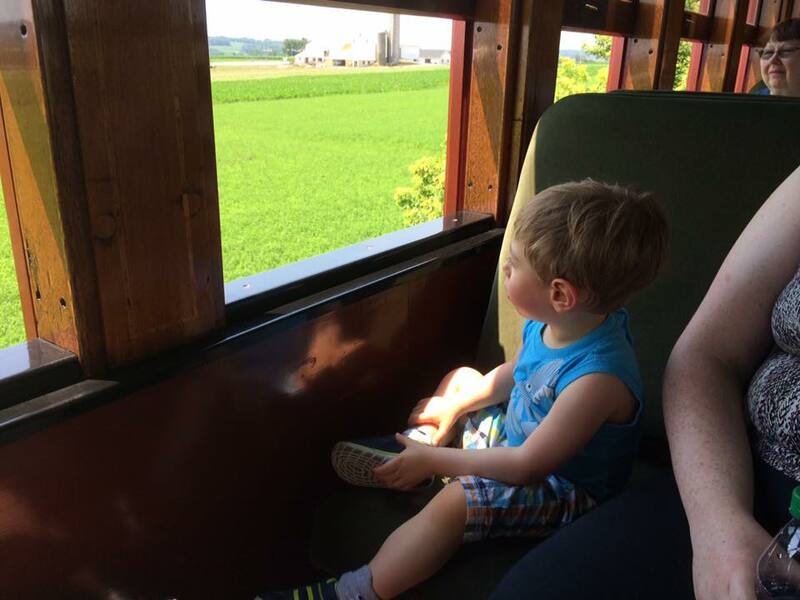 In addition to the cabooses, the motel has a restaurant housed in an old heavyweight coach converted into a diner, a large gift shop with a decent sized Large Scale railroad display, a petting zoo, and a barn where they show movies every night. The front porch in front of the lobby building proved to be a popular hang-out for our group, as it provided nice views of the steam trains rolling by and the pastoral Amish farms surrounding the motel. 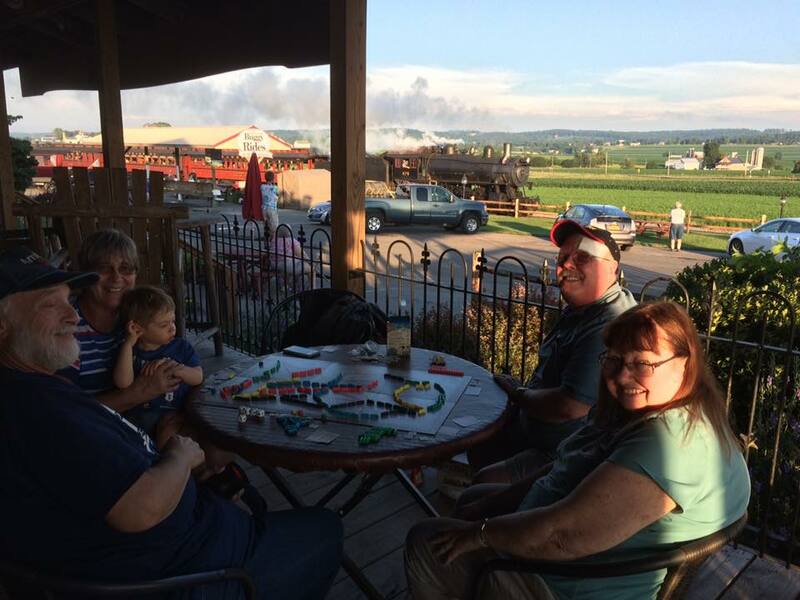 Playing Ticket to Ride on the front porch of the Red Caboose Motel’s lobby/gift shop building. The Red Caboose has always had a slightly ramshackle look, which I think is part of its charm; handyman repairs, home made signs, and the like give a lived-in feel and the impression that this is a true local business, not some glittering corporate edifice. However, the ravages of time are slowly starting to catch up with the place, as some of the cabooses are showing a little more rust and paint schemes adorning them continue to fade. The Red Caboose was recently bought out by new owners, so I’m hopeful they will be able to make some improvements to keep it in operation for years to come. 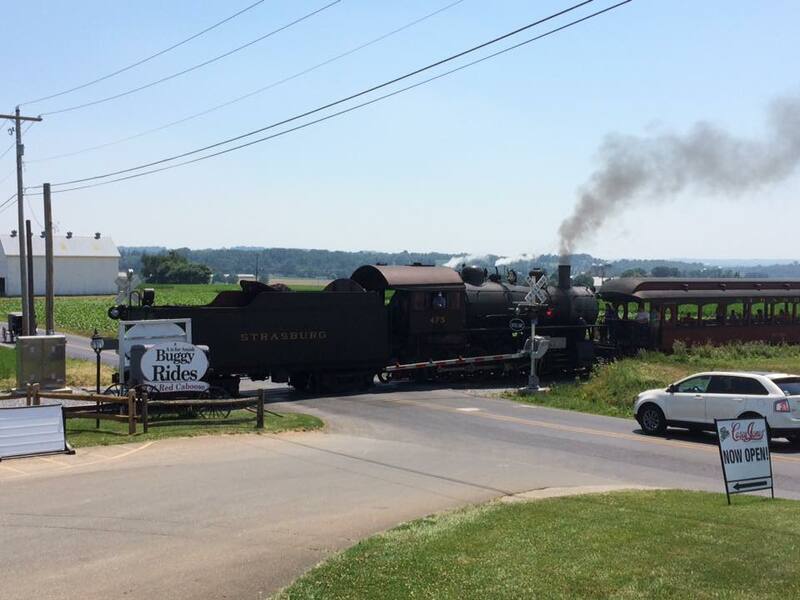 The Strasburg Railroad is famous for its steam operations, running hourly steam excursions up and down its historic mainline. In many ways, it serves as the “anchor” for the other railroading themed attractions in the area. We ended up taking the trip on Friday, in hopes of avoiding the worst of the weekend crowds. William and James really seemed to enjoy the trip, though by the end they were starting to get a bit tired! We were riding in the Coach accommodations, though the trains also offer open air cars and posh parlor car options. We rode behind the venerable #675, which turned 110 years old this season! 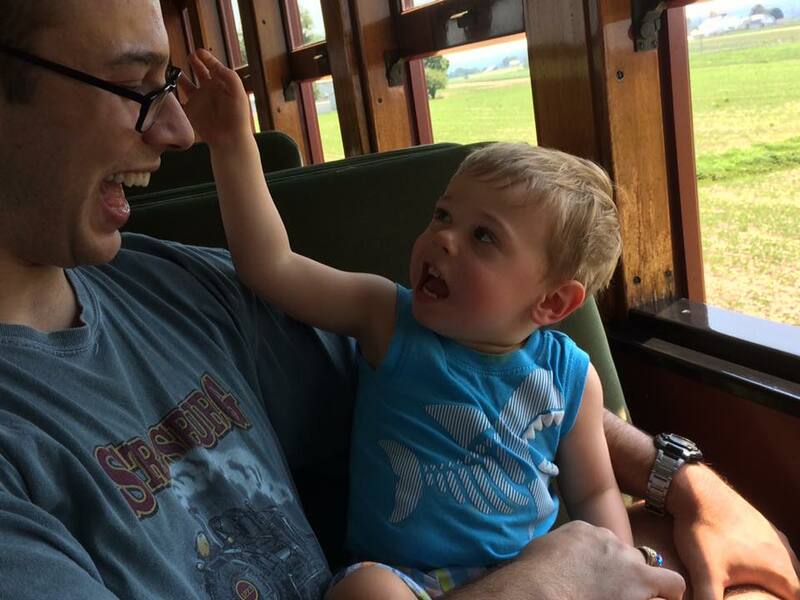 William on the train, grabbing for Daddy’s hair. James watches the fields roll by. The Railroad Museum of Pennsylvania was a real treat, as always. The museum mostly consists of a large shed full of beautifully restored equipment and interpretive exhibits that really do a good job of helping visitors understand not just the trains, but the environment in which they operated as well. 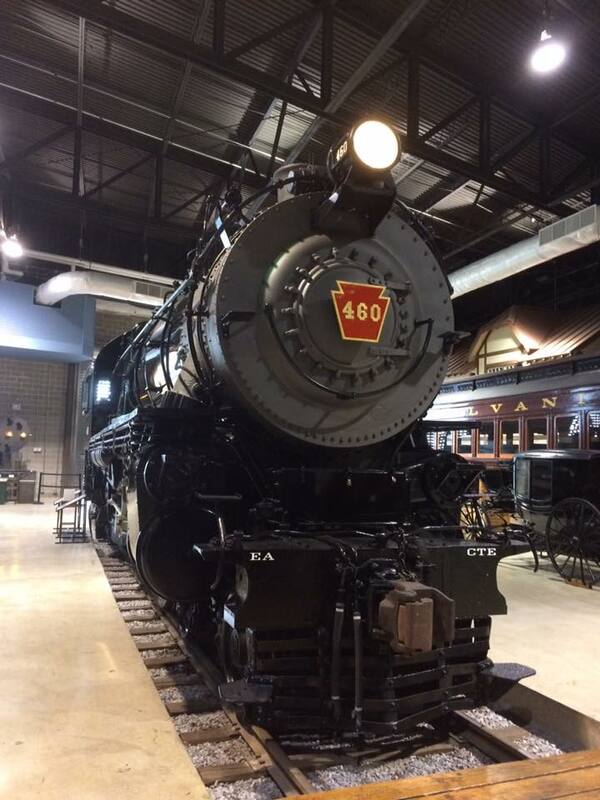 One of a number of nicely restored historic locomotives in the museum. In addition to the full-size trains, there are also two nicely built HO-scale display layouts, and an awesome kids area that has a large wooden train play table, a Lego train display, and other fun interactive things to do. The boys played with some of those displays, though they were pretty tired by the time we got to the museum on Saturday so it was a bit of a bust! Overall, though, this museum is very impressive and polished, one of the better train museums I’ve ever been to. 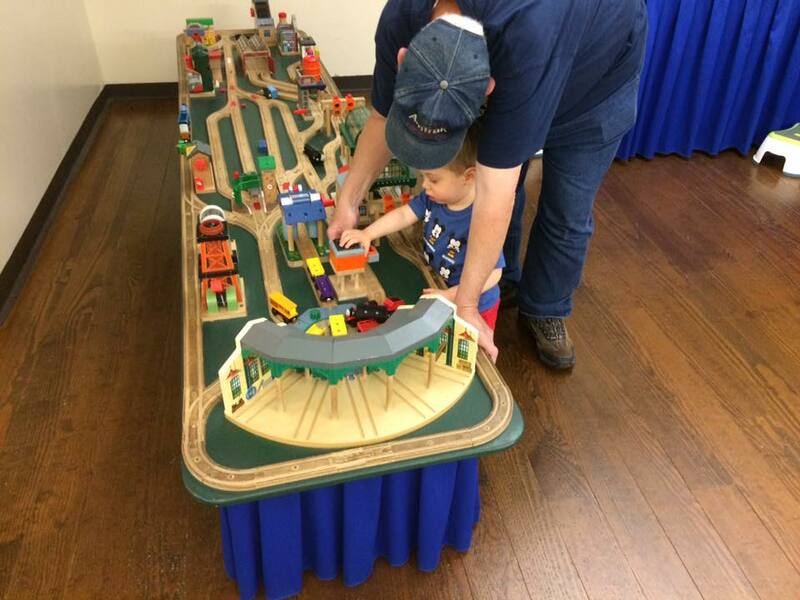 William helps Grandpa play with the wooden railway. Rounding out the weekend, we did two toy-train activities. The first was the Choo-Choo Barn, a classic O-gauge layout that occupies a large room. The layout is the result of a collector’s effort to build a place to run his collection, and it has been open to the public since the 1970s. 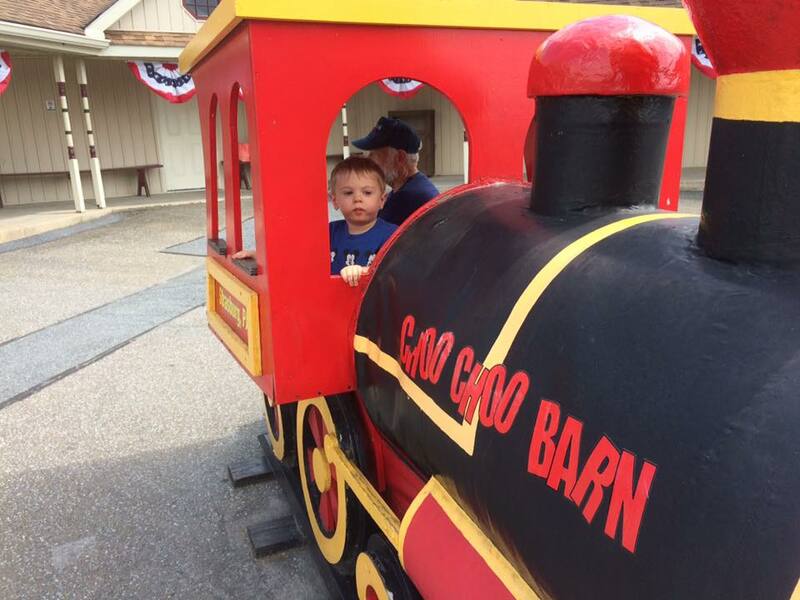 All aboard the Choo Choo Barn express! There have been continuous tweaks and improvements since then, but some of the core scenes include an animated circus and a burning house that prompts an animated fire response. The boys really seemed to get a kick out of this exhibit, and were visibly excited as we watched the trains and the supporting action. The other toy train activity was a visit to the National Toy Train Museum. This attraction is located adjacent to the Red Caboose Motel, and features displays of rare pre and post-war trains as well as operating layouts in multiple scales. Interestingly, William seemed to be way more into this museum than James did; James broke away and tried to make a run for the front door when we weren’t looking! 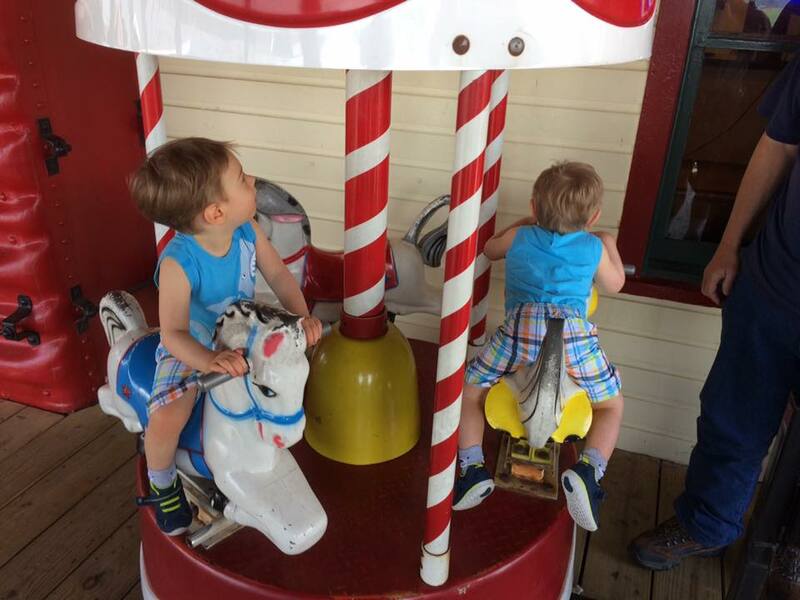 William and James had a blast riding this carousel! This entry was posted in Railroading and tagged Trains, Twins. Bookmark the permalink.